This is a question many insurance agents get asked by their customers. Insurance rates seem to increase at every renewal and there are a lot of factors that affect the changes. While increased costs of living are part of what cause rate increases they’re not all to blame. We’ll break down a few things that influence your auto insurance premium rates. Location: It may be surprising, but where you live or garage your vehicle is one of the major things that impact your rates. One of the first questions your agent may ask when working a new quote for you is your zip code. This is because insurance carriers use statistics to see how likely it is for you to file a claim based on where you live. You’re more likely to get into an accident if you live in a highly populated area or have to drive on the highway more often. Zip codes can also determine the chance of vandalism or theft in an area. Gender: If you’ve had to insure your children, and you happen to have a son or daughter, you may have noticed that insurance premium costs are different for males and females. This is because males are statistically more likely to crash than females, especially when they’re young and inexperienced. The IIHS notes that men typically drive more miles and engage in riskier behavior than women do. They’re more likely to speed, drive while under the influence of alcohol or drugs, and not wear a seatbelt. The U.S. Department of Transportation ran a report in 2016 showing the differences between men and women. According to their report, 71% of all motor vehicle crash deaths in 2016 were males. 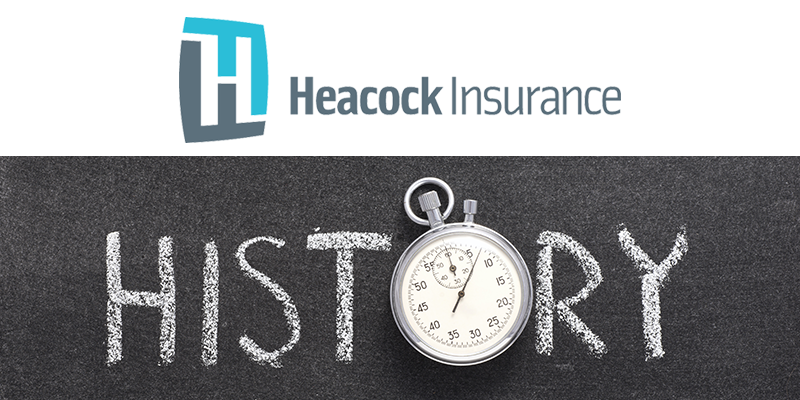 Claims Record- Your claims history is an obvious factor in what affects your insurance premiums. While Not-At-Fault claims have less of an impact, if any, on your premium, At-Fault claims will likely result in a surcharge and the number of claims can also negatively impact your premium. Many claims can show that you’re more of a liability than someone with fewer or no claims at all. Insurance Coverages– A major factor that affects your premium are the coverages you choose. The state minimum coverage that’s required in Florida is Personal Injury Protection and Property Damage coverage. While having the minimum coverage may be a cheaper option, it’s not highly recommended and definitely not something your Heacock Insurance agent will advise as this leaves you open to a greater risk of liability. Without having certain coverages, you could be at risk for uncovered damages to your own vehicle and/or injuries to yourself and others involved. Technology– Last but not least, with all the talk about how driverless vehicles are going to reduce accidents, thereby lowering auto rates, another piece of technology is having a very drastic opposite effect. Distracted driving is a major factor in increased auto rates. Road conditions and traffic conditions change quickly and the frequency of drivers paying attention to their phone instead of the road is higher than ever. The result is more accidents, which contributes higher rates. The great thing about working with an independent agency is that we will look for the right amount of coverage that meets your needs. We understand that increases in insurance rates are a growing concern and since we work with multiple carriers, we’re able to shop around for the right coverage at the best price. If you have any questions about your rates, or want to check out your current coverages, call the office to speak with your Licensed Insurance Agent at 863-683-2228.